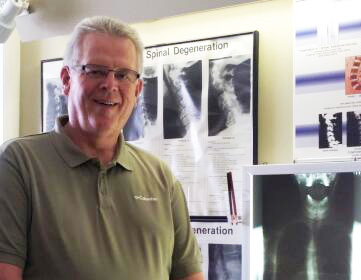 As a seasoned Doctor of Chiropractic, I am now living the chiropractic miracle daily. It is only through a “Normal Nervous System” that all of the functions of your body can be controlled by your brain…remember…your brain controls everything through your spinal cord (Central Nervous System and Motor/Pain Fibers) inside your spine….then out through the nerve roots to nerve pathways leading to every cell in your body. ….and can be physical, emotional, and chemical in nature. TODAY….our society is running daily at 16,000 rpm. and with Sunday shopping and Mom and Dad both working, our society is lacking a “day of rest”, and is running on “emotionally empty bank accounts” and has little or no recovery time from trauma, illness or emotional impacts of LIFE. HEALTH and WELLNESS are STILL POSSIBLE.